I’ve never really been satisfied with the sound of my bass guitar. I was blaming the amplifier for a lot of the problem. After all, when the bass sounds acceptable at low volume, but the sound falls apart when you turn up the volume, you tend to think the amp is doing something. 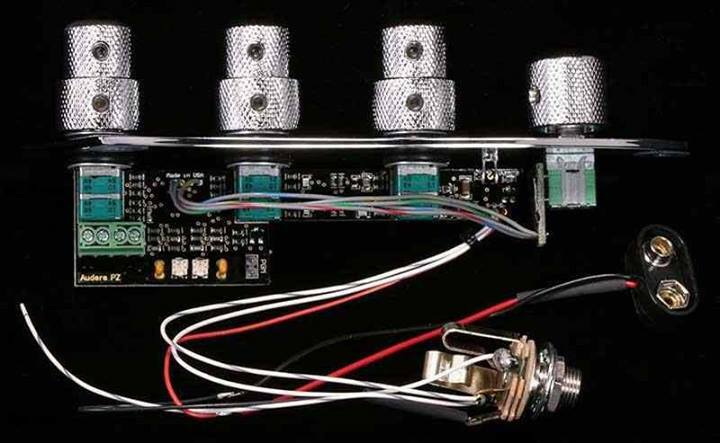 Lead Problems – or Bass Electronics? It was brought to a head by a recent episode where I kept getting lead problems, but for some reason I thought this time that maybe the electronics inside the bass were to blame. For some reason, whilst on my travels through the internet, I was drawn to the Audere Jazz Bass unit. Now one thing about my Fender Jazz Bass, it had been made active before. There was an unused battery box on the back, and an unused socket on the side – but just a “normal” JBass plate. It was then I noticed that the pickups were not matched at all. Clearly someone had upgraded the bass in the past but decided to take the stuff out before selling it on – and had put an awful pair of pickups in, and not shown much deftness in connecting the control plate. Does it make a difference? Well it depends on the pickups – but yes, it does. Low impedance results in a deeper, bassier, sound. High impedance causes a sharper, trebley, twangy sound. How much difference may depend on your pickups, but it works! With this unit and a new pair of pickups fitted, the silence (between notes) was deafening. You had to push the thing right up to get any sign of hiss, and as for clicks, hums, pops and buzzes, nothing, nada! 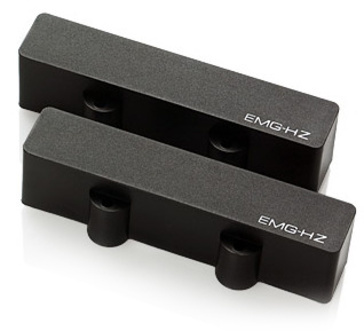 The pickups I got were fairly cheap, EMG-JHZ passive pair. They are beautifully made and sealed, with 5 pins sticking out over which you push a connector. This gives you access to each voice coil and a separate earth screen access. To get them in series alignment, at the other end, you connect black and white together, red is “hot”, green is “cold”. On a passive system you’d connect the screen to the green, but on an active, you route each earth wire separately to a common point. This is how you’d minimise noise. The pickups themselves are very neutral. They’re nothing to write home about but with an active control unit, where you have 4 separate tone controls and a 6-way impedance switch, that’s what you want. In tandem with the Audere JZ6 unit, and my Warwick Sweet 25.1 bass amp, instead of the sound breaking up as you crank the volume, it just multiplies and sounds meaner and louder. Is this really the same amp? Considering I bought the Jazz Bass for £150, by the time I’ve added on the black nylon Rotosound strings, the pickups and the new control plate, I have now spent £459 on it. Which, co-incidentally, is the price of an Ibanez SR-500 at PMT Music. My friend has one of those, but she was blown away by the sound this one made. 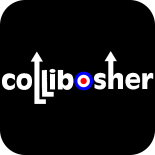 One of the reasons I spent so little to begin with, was that I wasn’t sure how Collibosher was going to turn out. We might never have got off the ground. With some time behind us now, I feel better about spending the extra money. And the weird thing is that I’ve gone from a bass costing £150 which, looking back, I think I got done, to what appears to be the same bass, now costing £459 and I think I’ve got a bargain! The first practice session we had with the “new” bass, was one of our best ever. The other guys could hear me more clearly. And of course the bass is the link between guitar and drums, and has to keep everything together. We’ll have to see if that difference is as clear on the stage on Saturday when we play in Southend. This entry was posted on 25 June 2013 by davespagnol.